The American Association of University Professors just released its 2015-16 report on the Economic Status of the Profession. As with previous reports, the employment status and wages of adjuncts are a central theme. The report’s authors express alarm at what they allege to be the mass “adjunctification” of U.S. higher ed, even though their actual figures (see the table in Figure 2) show a continued decline in the overall percentage of part-time faculty for 2014. As I showed previously, the adjunct “replacement” theory itself is a myth created by the use of percentages to obscure the fact that full time faculty have been continuously growing in ranks for almost 40 years. Adjunct numbers actually peaked around 2011 due to the For-Profit Higher Ed bubble. They’ve been on the decline ever since as that bubble continues to deflate. The actual price tag is simply staggering. The Ohio State University would incur an instructional budget increase of between $50 and 123 million dollars to convert all current adjuncts to full-time positions. The AAUP’s reported numbers suggest a budget increase of between $16 and 23 million for colleges according to the “national average” of adjunct employment. The AAUP also recognizes the high cost and also proposes a 50% conversion in which half of all adjuncts receive a full time job (it is not stated in their report but the remainder, presumably, would be out of work for reasons that we discussed in detail). Furthermore the AAUP notes that there are no easy sources to obtain this money (putting them at odds with the absurdly unrealistic proposal made by Gawker and touted by a number of madjunct activists). They do propose a broad array of budgetary adjustments that apply to college sports, facilities construction, and course scheduling that could potentially recover some resources, but there’s plainly no pot of gold. 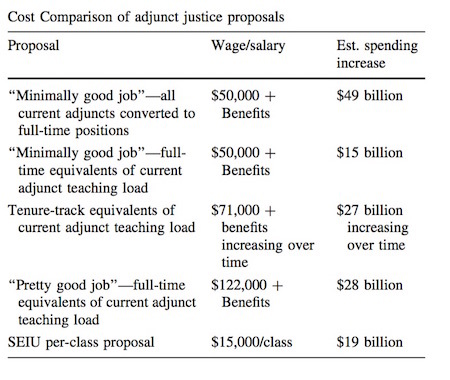 The AAUP’s adjunct conversion findings should be a sobering realization for the adjunct union activist crowd. When Jason and I reported similar cost estimates in our article, their response was shrill and dismissive. One long-term activist called our findings “willfully ignorant” despite his own inadvertent revelation that he had not even read our article. Another screeched that we had produced a “ideological arguments” in simply raising the reality of the tradeoffs invoked by our cost estimates. 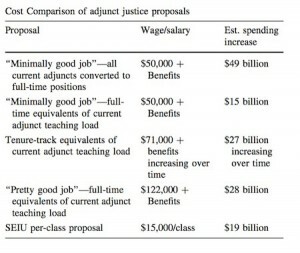 Yet sure enough, when the AAUP – a faculty group that has long advocated for adjunct pay increases – takes an honest look at the price tag of “adjunct justice,” they find staggering per-adjunct conversion costs that are not far removed from our own. I can only wonder if the madjuncts will similarly dismiss the AAUP’s report without bothering to read it first on account of their repeatedly-expressed disdain for data analysis. On closer investigation, it appears that the AAUP’s budget statistics from the Ohio State University further obscure the size of the $50-123 million price tag of “adjunct justice” on that campus. Since the AAUP presents their estimates as percentages of the overall university budget, the cost of the proposed adjunct conversion to full time positions appears to be a relatively modest overall increase of 1%-2.5%. The 2015 Ohio State University budget was a staggering $5.3 billion, so even a $123 million increase in expenses looks like a drop in the bucket. This $5.3 billion figure is misleading though. Almost half of it comes from the operating expenses of the university’s extensive hospital system. The actual budget for the university itself, excluding healthcare, is $2.85 billion. The university only reports salary data for faculty and staff combined ($1.4 billion) and staff far outnumber faculty on their campus, so it isn’t possible to break the numbers down further. We can nonetheless safely assume that the “modest” 1-2.5% increase is actually closer to a 5-15% increase on instructional salaries, if not even higher. 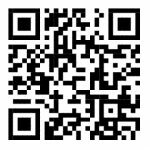 This entry was posted by Phillip W. Magness on Monday, April 11th, 2016 at 8:27 pm	and is filed under Uncategorized. You can follow any responses to this entry through the RSS 2.0 feed. Both comments and pings are currently closed.